It was called Samhein, Calan Gaef, the Feast of Pomona, Parentalia, and All Hallows Eve. What is it? It’s Hallowe’en. And, pagan or not, everyone agrees that, whatever you call it, October 31st begins the “dark side” of the year. Once upon a time, death was everywhere and instantaneous. Marauding was a serious pastime. Most worked hard and a festival, any festival, was a break from the routine of basic survival, even if it had to be invented. Naturally, before “the dying time” of cold, hunger, and death, a harvest festival was called for. Bonfires were used for “cleansing,” lanterns were carved from gourds or large turnips to keep the evil spirits at bay, and kids with painted faces of dark ash went from house to house wishing to be welcomed or, if not, then to do mischief. Costumes or “guisers” were worn for protection against the same spirits from inhabiting you. Ah, sound familiar? By the early 9th century, the Christian church got into the act and just happened to schedule “All Hallows [Saints] Day” on the same festival day as that of Samhein, a Gaelic festival of harvest and cleansing on November 1, with the day before known as “All Hallows Eve” to be shortened to Hallowe’en. Wonder why they did that? Anyway, while others talk about the many myths and legends of Hallowe’en through the video, article, or blog, our Worthologists and contributors highlight the actual spooky presence of the holiday in items from collectible books, to posters, to table settings, and, yes, even cuddly bats. One article that particularly hit home for me was one from Worthologist Harry Rinker titled “Rinker on Collectibles: It’s Scary How Halloween Has Changed.” Harry speaks of the Zorro costume he owned when he was in school. Zorro is my favorite superhero (needs only his brain and wits to outsmart bad guys) and I have a minimized costume I continue to wear each year. Harry highlights a number of Halloween resource material I haven’t seen anywhere else here, plus he talks about his rather large collection of Halloween collectibles. 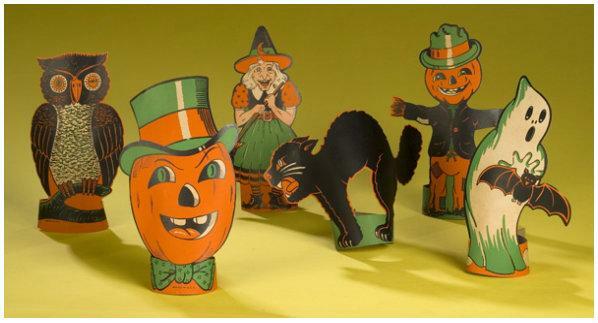 “Halloween memorabilia is nostalgic driven,” he says. “If one grew up with it, one remembers it.” But things change, he notes, and not always in a good way. Worthologist Liz Holderman, though, can get your day (or night) started with, seriously, the creepiest photos of early costumes for kids I have ever seen. If these images from the early 1900s don’t get you in the mood, I don’t know what will. 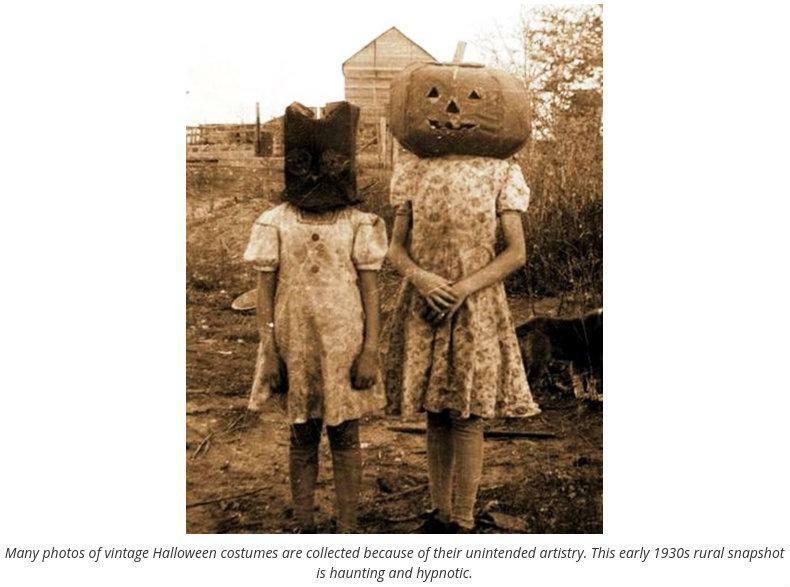 “Haunting Photographic Images of Early Halloween Costumes are Desired By Collectors” shows regular folk somehow dressed ghoulishly in everyday items like flour sacks, tablecloths, paper bags, and painted face masks that, well, oh my, you just have to see for yourself. 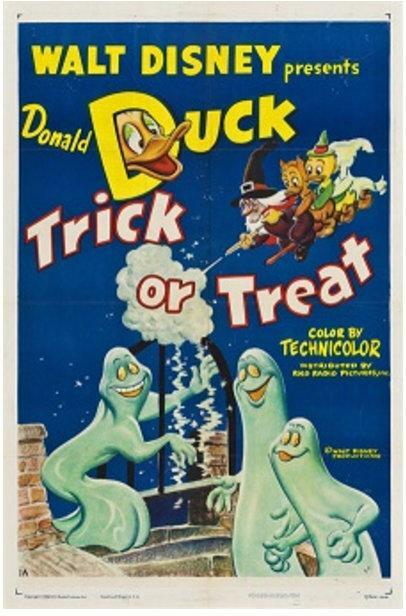 Examples of this Donald Duck poster from the 1952 classic Disney short titled “Trick or Treat” have sold for $3,000 or more at auction in recent years. With Liz’s images in your minds, Worthologist Mike Wilcox takes you to the movies through posters – the scary kind in “Spooky Movie Posters Make Great Halloween Collectibles.” The movie Halloween originally released in 1978 spawned a collectible movie poster from all 10 released movies with an 11th to be released in 2018. There’s even a Donald Duck “scary” poster (shiver). Mike Bloomfield, too, adds to movie poster collecting with “Halloween and Horror Movie Imagery at the English Cinema” to highlight movie inserts for zombies and vampires, “The Shining” (still scary all by itself) and Boris Karloff’s rare “Frankenstein” original movie theater insert that sold for nearly $263,000 in 2013. Values for movie posters, it seems, is nothing to shake a duck tail at. So, you’ve seen the monster movies. Now you can appreciate the toys and merchandise centered around them. James Burrell highlights all of the classic movie monsters in “They Came From The Crypt: Universal Monster Toys and Collectibles.” He’s referring to the classic monsters of Dracula, The Hunchback of Notre Dame, The Phantom of the Opera, Frankenstein, The Wolf Man, The Creature from the Black Lagoon, The Mummy, Bride of Frankenstein and all of the Universal Pictures movie monsters of the 1920s to the 1950s we all know and are still scared of. It seems that there wasn’t merchandise available from these horrific films until the1960s and so each are highly collectible now. Don’t read this article in the dark. After the movie, come home to a party. Early Halloween party items weren’t meant to be kept for next year as Worthologist Liz Holderman recounts in “Starting a Vintage Halloween Collection Not a Scary Proposition.” This means that any surviving placemats, cups, napkins, name tags, nut cups, streamers, dance cards, gummed seals, table covers, tin serving plates, invitations and centerpieces from early 20th century Halloween-themed parties are particularly collectible. But how did you plan your Halloween party then? Liz shows you how with “Putting Together a Vintage Halloween Party: Great Grandma Used Dennison’s Bogie’s Books.” It’s a catalog of everything Halloween beginning in 1902 through 1926. If you want to party like it’s 1902, but collect like its 2017, then this is the article to read. Wes Cowan of Antique Roadshow fame shows other table decorations in his “History Shines Light On Celebrating Halloween Collectibles.” Apart from the traditional paper jack-o-lanterns, black cat, and witch decorations, Wes highlights a Mexican Day of the Dead creation, a definitely ghoulish Mexican tradition of celebrating the ancestors where they are – at their gravesites. And they are rather fiendishly creative. For the more upscale Halloween partier is Reyne Haines’ “When Preparing a Table For a Ghoulish Party, Decorate With Halloween Glass.” Naturally, we’re talking glass in black, orange, ruby red, ghostly white and wonderfully spooky colorful designs. Carnival glass produced “Funeral Vase,” “Dragons Tongue,” “Halloween,” and “Heavy Web” design glass decanters. Fenton’s pumpkin color dishware and baskets from the early 1900s and bloody red tumblers from Anchor Hocking Glass would seriously set a Halloween mood. 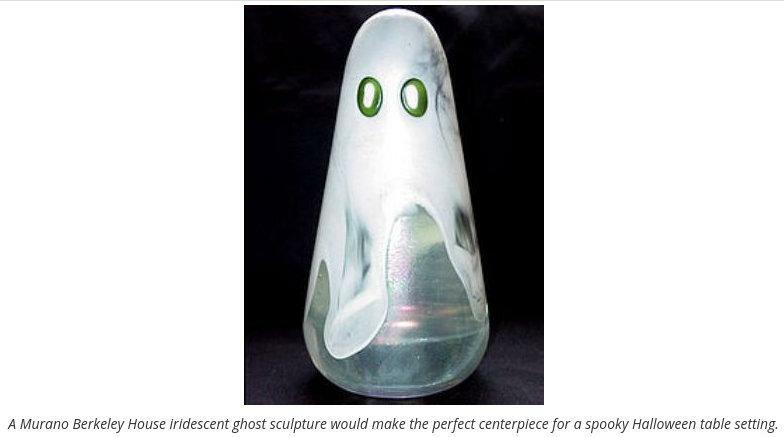 Check out the Murano Berkeley House iridescent ghost sculpture for the table in the photo above. I want one. That yellow box and the Haba brand mean high quality family fun. Haba never skimps on components, as witnessed by this game’s sewn, cloth ghost and tactile wooden pieces. After dinner, still in your costume, play an early spooky board game. Michael Barnes covers games in his two different articles titled “Great Obscure Halloween Board Games Lurking in the Shadows” and “Three Ghostly Board Games That are Both Collectible and Great for Kids.” This poor guy was raised on horror everything, it seems, and his reviews of horror-themed board games shows his “ghoulish” fascination. 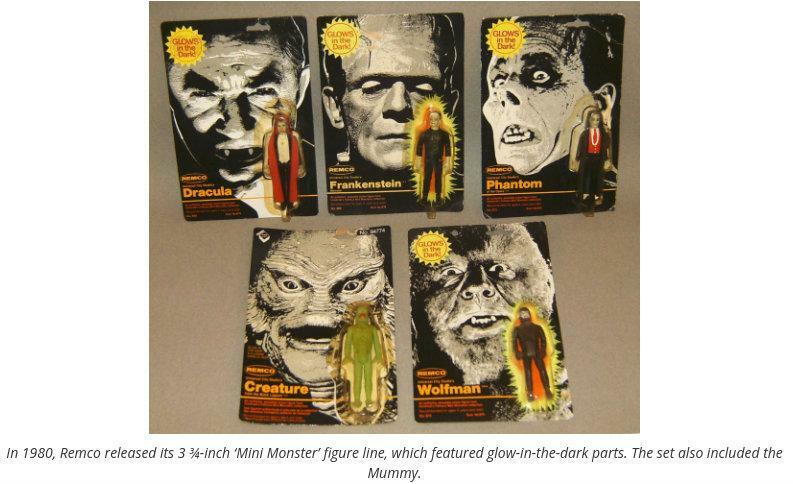 The figurines were more impressive than the play sometimes, he says, but “The Gothic Game,” “Curse of the Mummy’s Tomb,” “Fury of Dracula”, and others are horrifingly collectible. Kid-friendly games are collectible, too, like “Mittersnacht Party,” “Ghosts,” and “Schloss Schlotterstein” with its own “magic wand.” They may be tame by comparison, but still fun for the younger ghouls and gals. You have to know about these games! 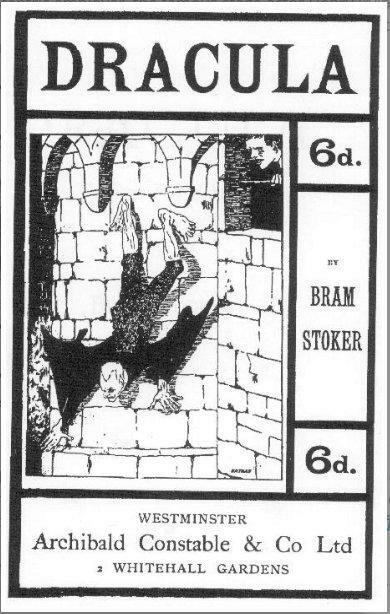 First illustrated edition of “Dracula,” 1901. But if dressing up as a monster or creature, watching the movies, decorating for dinner, and playing the games wasn’t Hallowe’en enough, end the night by reading a bedtime story that starts “Morning and evening, Maids heard the goblins cry, ‘Come buy our orchard fruits, Come buy, come buy’” from the “Goblin Market” published in 1859. Uh, boy. Liz Holderman was kept up very late, I think, after writing “Collecting Classic Horror Books: Tales That Scared Our Great-Great Grandparents.” Where did Frankenstein, Dracula, The Were-Wolf, and Dr. Jekyll and Mr. Hyde come from? Why from the 19th century, of course. Naturally Edgar Allan Poe is chronicled here, too, for better or worse in all of his collectible ghastliness. 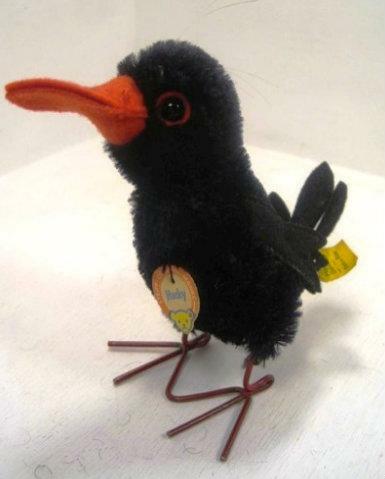 Steiff’s Hucky Ravens, both scary and silly at the same time, would have been a favorite of Edgar Allen Poe’s. 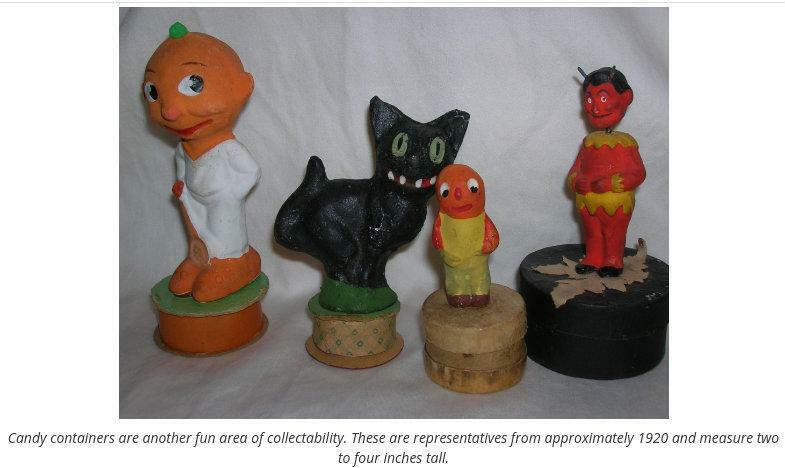 They were manufactured in 12 and 17 centimeters from 1952 through 1976. Thankfully, we can [shudder] experience these bedtime stories with the cuddly help of Worthologist Rebekah Kaufman’s furry stuffed animals in her “Celebrating Halloween With Steiffs Creatures of the Night” collection. These are very well made and immensely cuddly collectibles if you can think of Eric the Bat, Tom or Scary [Black] Cat, Hucky Raven, Loopy Wolf, and King Kong as cuddly. And we do. But then, you might as well cuddle up, since we won’t be getting much sleep tonight anyway.